I portion (1 scoop) 30 minutes before training, II portion (1 scoop) immediately after training. I portion (1 scoop) in the morning after waking up, II portion (1 scoop) before sleep. Dosing may differ depending on the kind of physical effort, its duration and body mass of the user. It is assumed that the optimal dose of BCAA during the day is 10g. It is best to take it in two divided doses: before training (around 30 minutes) and after training (immediately), each around 1g/10 kg of bodyweight. On non-workout days it is recommended to use BCAA on an empty stomach before going to sleep. People reducing fatty tissue may adopt a similar dosing scheme as sportsmen. 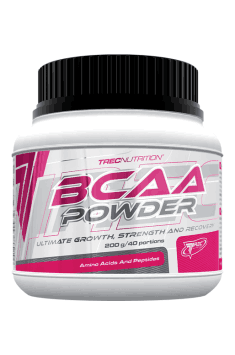 In case of no contraindications, amino acids BCAA may be used every day.